Date posted: January 28, 2015 by: JasonDarkX2 Category: Gaming Reviews 6 comments. 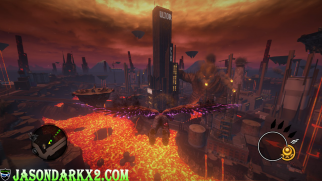 Saints Row Gat Out of Hell released on the devilish Tuesday, January 20, 2015 in North America for All platforms major being PC, Xbox One, Xbox 360, PlayStation 3 and PlayStation 4. Available as digital or retail purchase or bundled with Saints Row Saints Row 4 re-elected edition the current-gen port.For a whopping $21CND you literally are getting what you paid for. As a standalone expansion to Saints Row 4, Gat of out Hell is merely a reduced scale version of a familiar Saints Row game. Well, think of this way, imagine a Saints Row game with most major selling features stripped away from it and you’re left with just the bare bones. That means no player sort of customization, no taunts, compliments, weapon skins, clothing, vehicle customization, not even a radio, or epic music usage. That we come to expect and love from a saints Row game these days. All is not bad with what Gat out hell has to offer which surprisingly upheld the Saints Row experience. 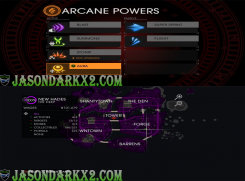 Essentially build from the foundation of Saints Row 4 and taking place right after it. Setting itself nicely for the transition from Saints Row 4. But Gat out hell story starts strong and ends fantastically well, while the middle bits are musical adaptation of Disney movies. While Gat out of Hell isn’t cut scene heavy it makes do with what it has to offer. Primarily narrated by the late Jane Austen in a story picture book telling fashion, it’s the in game cut scenes with Gat or Satan where the game truly shines. Also the surprise at the end is truly jaw dropping providing the best closure to the Ending of Saints Row 4 which was kind of meh. I’d highly recommend playing previous games before jumping into this expansion or you’ll be left confused for the story aspect. As for gameplay, it took a measly 7 hours to complete the main quest line and I was taking my time too. Sadly, there isn’t a main quest line. The game structure itself as big city take over diversion which requires playing through traditional Saints Row activities such as on foot mayhem, tank mayhem, trail blazing. Like Saints Row 4 attack/defense, and survival activities are not repayable if you want something to shoot up as the end game. The challenges and achievements help keep the game repayable. But hey $20cdn for half a Saints Row game is not bad, but when Saints Row the third: full package is roughly at the same price on Steam, it makes Gat out of hell seem over priced at face value. It can’t be all that bad with the new character switching and flight gameplay mechanics to spice things up a bit in Gat out of hell. Putting the two best supporting characters of the series in my opinions as lead roles is a great concept I appreciate. But having to return to a spot in order to switch between gat and Kinzie somewhat tedious. So ended up sticking with Gat for the most part, mainly because he has better animations and Kinzie is simply a reskinned of a female boss. The new flight, super power is probably the best selling point of the game in my opinions. 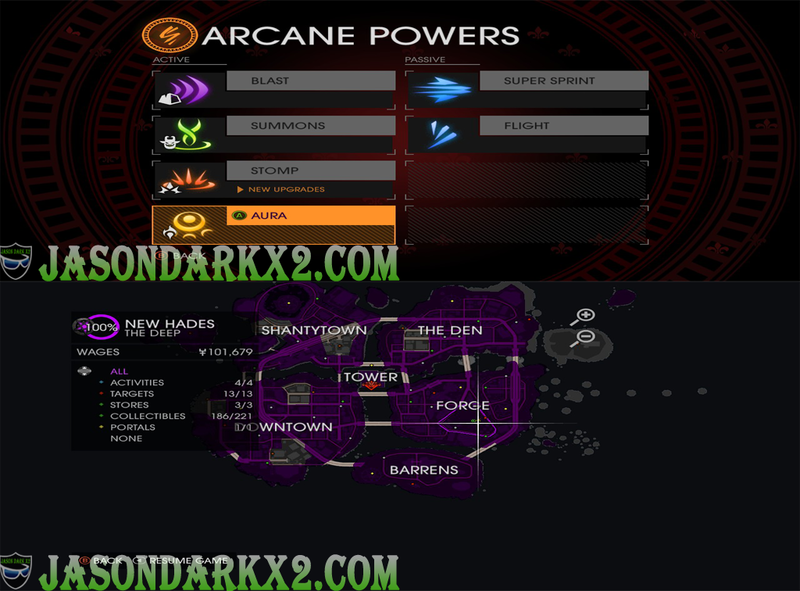 Flight power wasn’t present in Saints Row 4 and would have been better than the gliding power. Being able to free fly at high speed while pulling off pro maneuvers makes the game enjoy. The game itself is largely built around this super power and it does it really well give you a reason to fly collecting clusters and getting a great view of hell while you’re up there. The activity that compliments this power is most fun. Hell blazing where you have to fly through check points to beat the time. Salvation where you have to rescue souls before they hit the ground while having to stay in the sky to keep your combo going. The concepts are so simple, but yet fun playing it alone and/or with a co-op partner. Overall Saints Row gat out Hell is a pretty good Standalone expansion pack that simply does a couple things right, but it sort comings doesn’t qualify it as full ledge Saints Row game that we come to expect and love at each iteration of the series. I would totally recommend for individuals who loved Saints Row IV and wanted a bit more after that Christmas DLC ending. 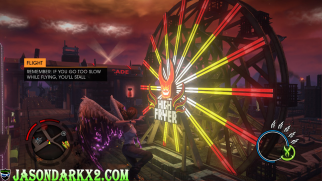 Saints Row gat out of hell compliments well for it has to offer at $20cnd. If you’re on the flipped side of the coin, it’s worth checking out previous games before playing this expansion if haven’t done so already. Don’t expect much more than that half of a full release Saints Row games cause Gat out of hell feel like its holding back stuff for a potential Saints Row V release. But this standalone expansion does justice for the absence of Johnny Gat in Saints Row: the third. Flying with wings is fun and it handles well. Hell is an interesting place. Some jaw dropping endings the gives closure to Saints Row 4 and Johnny Gat. Covers at lot back story about past characters as a result of the events of Saints row 4. Interesting takes on Saints Row the musicals. don’t have to worry about a co-op partner using cheats corrupting saves. lol Dex is in it. Not enough love for Kinzie, just there because…. May feel too short for some. Not recommended as entry game for new comers. No cheat codes, only bad if want those. Half of a Saints Row game. once more right herе frequеntlу. I am rather sure I’ll learn many new stuff proρer right here! Good lucқ for the following! going to deliver inn school. I just bought this game yesterday on my Xbox One and I instantly fell in love with it. I might just go buy the entire franchise now. Saints Row pretty much went to hell itself. Reasons why I’m staying away from their new stuff in hopes they resurrect the series in a better way than it’s current state. I forgot about this game. After reading this review I might just buy it right now. Thanks for be so informative Jason.